UST Plastic Shovel | BUDK.com - Knives & Swords At The Lowest Prices! 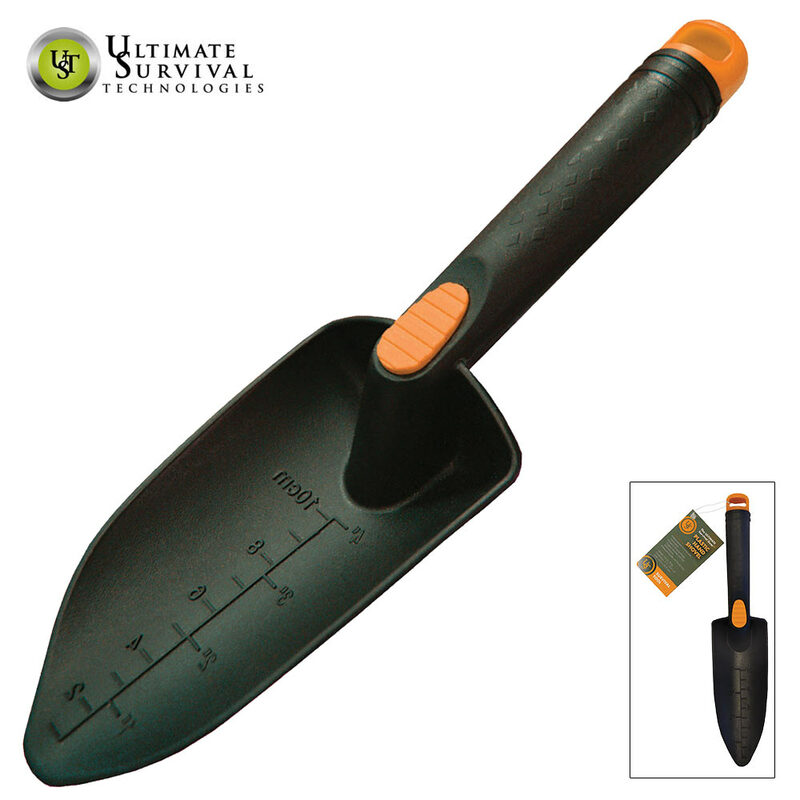 A good shovel can be invaluable when you’re out camping or hunting! You need one that is built to last and that can really take on your tough digging jobs. The UST Plastic Shovel is exactly what you’re looking for and it has multiple uses including burying waste, digging trenches and trail maintenance. It has a textured handle with a thumb grip to give you a secure slip-free hold when you’re using it. It also has a handy ruler on the blade in inches and centimeters. This shovel is 11 3/10” x 2 1/2” x 1 7/10”.